We’d love your help. Let us know what’s wrong with this preview of Red and the Wolf by E.A. Walker. What incident so scarred the psyche of a community that it preserved the memory over generations? This tale of the dark, twisted truth lurking behind the children's fairy tale will set its fangs in you and not let go. You thought you knew the story of Little Red Riding Hood? Think again. Think hard. Do you really want to know the truth? Some books are better left unopened. To ask other readers questions about Red and the Wolf, please sign up. This is not the version of Little Red Riding Hood you should read to young children, unless you want to give them nightmares or PTSD at story time. E.A. Walker conjures up a dark, grim retelling of the classic fairy tale, where all is not as it seems, or as we remember. The structure and style of this novella reminded me of Wuthering Heights. It’s a tale of two halves, the action takes place in a bleak, atmospheric setting, and there’s a healthy dose of the supernatural. I imagine if this book ha This is not the version of Little Red Riding Hood you should read to young children, unless you want to give them nightmares or PTSD at story time. E.A. Walker conjures up a dark, grim retelling of the classic fairy tale, where all is not as it seems, or as we remember. The structure and style of this novella reminded me of Wuthering Heights. It’s a tale of two halves, the action takes place in a bleak, atmospheric setting, and there’s a healthy dose of the supernatural. I imagine if this book had been written in the Victorian period, it would be considerably longer, but E.A. Walker keeps the pace and length measured for a modern audience. It rips along nicely... oh dear... spoilers. Sorry. Stylistically, the writing is elaborate, also bringing to mind Victorian prose, giving E.A. Walker the opportunity to dwell on details and linger in specific moments. The principal characters are well drawn, their actions and choices, for better or worse, are convincing and credible, which is a nice change from the fairy tale. I mean, what kind of responsible parent allows a young girl dressed in bright red to wander alone in wolf infested woods anyway? I'm usually not a big fan of fairy tales, especially since most of the fiction out there in this genre are rehashes of older, more successful stories. With Red and the Wolf, this is not the case. Every time I was expecting something stereotypical, the author surprised me. For a short story, the author packs a massive punch when it comes to developing her characters and story line. Nothing felt contrived, and there were pieces that I didn't expect that pleasantly surprised me. If you're a fan of I'm usually not a big fan of fairy tales, especially since most of the fiction out there in this genre are rehashes of older, more successful stories. Red and the Wolf is E.A. Walker's debut writing novella, and I think the author did a fine job of it. The story is carefully constructed and deeply portrayed in most places and with few exceptions, the story line is fairly straightforward. It hinges on a well-known legend--or a spin-off of one, where the characters should feel familiar. This story uses ethnic names, which is different from other stories I've read. The story has some adult thematic elements, though, so it is not what I would cons Red and the Wolf is E.A. Walker's debut writing novella, and I think the author did a fine job of it. The story is carefully constructed and deeply portrayed in most places and with few exceptions, the story line is fairly straightforward. It hinges on a well-known legend--or a spin-off of one, where the characters should feel familiar. This story uses ethnic names, which is different from other stories I've read. The story has some adult thematic elements, though, so it is not what I would consider to be a children's story; rather for late teens and above simply due to the relationship material. As a story, Red and the Wolf is loosely associated with the Little Red Riding Hood fairy tale we all know, and it is a plain reminder that even the stories we grew up with can be rewritten into very interesting adult tales. I would say the author writes with a very poetic prose, but that might confuse those already familiar with what is known as prose poetry. Instead I should say that she has managed to create powerful imagery through her writing; simply put, the writing quality is a step above w As a story, Red and the Wolf is loosely associated with the Little Red Riding Hood fairy tale we all know, and it is a plain reminder that even the stories we grew up with can be rewritten into very interesting adult tales. I would say the author writes with a very poetic prose, but that might confuse those already familiar with what is known as prose poetry. Instead I should say that she has managed to create powerful imagery through her writing; simply put, the writing quality is a step above what most indie authors produce nowadays. The storyline itself gave me pause for some thought; as someone who has known only the modern version of the tale, I almost felt that a sacrilege had been committed. Some reading on the fairy tale and its origins, however, made it clear to me that many versions have existed over the centuries, including those that introduce a “werewolf” quality to the Big Bad Wolf. There are even versions where the wolf emerges victorious! Either way, I believe that Red and the Wolf is a tale well worth reading and recommending, not only due to the storyline itself but also for the pure enjoyment of professionally crafted prose. Disclaimer: I received a free copy of this book in exchange for an objective and non-reciprocal review. I love prose that has poetry in it, the kind that is rich and evocative and contains not a single over-used word or cliche. When you wrap that kind of language around a unique twist on a fairy tale, it makes for a quality read like this. Red and the Wolf has an old-world backdrop that sets it apart from a lot of other paranormal work in a good way, and at several points I really did forget the genre. It reminds me of elements of books like "The Historian"--snippets of the backdrop here even made I love prose that has poetry in it, the kind that is rich and evocative and contains not a single over-used word or cliche. When you wrap that kind of language around a unique twist on a fairy tale, it makes for a quality read like this. Red and the Wolf has an old-world backdrop that sets it apart from a lot of other paranormal work in a good way, and at several points I really did forget the genre. It reminds me of elements of books like "The Historian"--snippets of the backdrop here even made me think of the settings of novels like Solokhov's "And Quiet Flows the Don." This is a short story retelling the tale of Little Red Riding hood. However, the author has done a quite a bit of research into the origin and came up with a clever, twisted, and shocking tale. It's a perfect read for Halloween or just whenever you're looking for something scary. I was trying to guess how it would play out and it was NOTHING like I could have imagined. Well done. WOW!!! This book drew me in from the prologue to the final page. I love retelling old stories and this one was one of the best I have read so far. Loved how the characters were developed. Loved the story's fast pace. And the ending oh my! You can't help but keep reading until the very end and what an ending! The only thing that would have made it better was if it had been longer. I can't wait to read more of this author's work. Fantastic read! This was an extremely good story that borrowed certain aspects from the popular fairytale Little Red Riding Hood - for example, the red cape and wolves in the woods. But while there are some similarities, this is definitely a story of its own. I was not expecting things to turn out as they did. I thought this story was frickin' awesome. Short and sweet. I wish I could give it another star. "…an adult needs to be able to hear the truth, even when it has an unpleasant sound." (Kindle Location 281). Vöröža wanted Juri from almost the moment she set eyes on him, but her Babushka had other plans. Snežana claims that Vöröža is of noble birth and shouldn't consort with the lowly villagers, especially the woodcutter, but Vöröža doesn't listen. In secret, at least she thinks so, she meets with Juri and they make plans together. All in the town are wary of the two women in the forest, but J "…an adult needs to be able to hear the truth, even when it has an unpleasant sound." (Kindle Location 281). Vöröža wanted Juri from almost the moment she set eyes on him, but her Babushka had other plans. Snežana claims that Vöröža is of noble birth and shouldn't consort with the lowly villagers, especially the woodcutter, but Vöröža doesn't listen. In secret, at least she thinks so, she meets with Juri and they make plans together. All in the town are wary of the two women in the forest, but Juri, until one event that will have them sympathizing with the young Vöröža. Can she truly leave her noble birth behind? This short story is based on Little Red Riding Hood, but it is very much its own tale and very different from the simple animated versions that abound in film. This story, though new, is told as if it is a tale retold, a legend of a small town near a wide and foreboding forest. E.A. Walker does an amazing job at carefully crafting her descriptions and keeping herconsistent old world feel of the story. From the beginning Walker provides enough physical descriptions to set the scene and plunge the reader into Vöröža's world. The characters are whole and alive in the imagination. It was very helpful to have the pronunciation chart at the start of the story and helped as I read for visualizing. As the story went on, I thought there were a few too many characters and it got a bit confusing. After reading the story a second time, I really was able to appreciate the bit of foreshadowing that was cleverly disguised. I love dark retellings of classic stories so naturally I enjoyed Red and the Wolf. It reminded me a lot of Red’s story in Once Upon a Time, but of course this version of Little Red Riding Hood has its’ own elements. Pros: It’s a short read with vivid, intricately written descriptions and I was engaged most of the time. I loved that Granny was not so much a sweet, elderly woman but actually a master swordfighter who wasn’t afraid to wound her grand-daughter in training. Cons: I felt like there was I love dark retellings of classic stories so naturally I enjoyed Red and the Wolf. It reminded me a lot of Red’s story in Once Upon a Time, but of course this version of Little Red Riding Hood has its’ own elements. Cons: I felt like there was depth lurking beneath the surface of the plot, but the reader never got to delve into that depth. There were questions left hanging and so I never quite felt satisfied with the ending. The same is true for emotional depth. There were moments where I desperately wanted more emotional insight to the characters, but it wasn’t provided. In summary, the story was interesting, fun and vivid. It feels like a story with enormous potential. With a few tweaks, I think this could have blown me away. I always enjoy dark fairytales, and this one was no exception. Even though it's short, I felt like I got plenty of story within these pages. I got to know the characters well enough to know who I liked, and I really enjoyed the grandmother despite her gruff exterior. The ending was fantastic, but I won't be spoiling it. This isn't the Disney version of Red Riding Hood. Though quite different from the story we all know, it delivers in a way that is reminiscent of the originals as penned by Grimm a I always enjoy dark fairytales, and this one was no exception. Even though it's short, I felt like I got plenty of story within these pages. I got to know the characters well enough to know who I liked, and I really enjoyed the grandmother despite her gruff exterior. The ending was fantastic, but I won't be spoiling it. This isn't the Disney version of Red Riding Hood. Though quite different from the story we all know, it delivers in a way that is reminiscent of the originals as penned by Grimm and Perault. The story moves quickly to its exciting conclusion, and is easily finished in one sitting. This darker version of the children's fairy tale is a spine tingling pleasure to read. It is a well written story and the author has skilfully portrayed the world in which this tale unfolds. A novella which keeps you enthralled and anticipating the unexpected. A fresh and original take on the Red Riding Hood fable, Red and the Wolf is a richly atmospheric story by a writer truly in command of their craft. Well edited and crafted, strong characters and a fast-moving plot make this a real treat. Watch for for some big surprises along the way as you experience this unique retelling of a familiar fable - recommended reading for a dark, stormy night! I had no idea what to expect when I started reading this story. The description drew me in, and made me want to know what the 'dark, twisted' truth was. I knew I wouldn't be getting a Disney fairy-tale, and that it would probably be more along the lines of the darker tales by Grimm, and I wasn't disappointed. Red and the Wolf is beautifully written. The author has a way of weaving her words together that evokes powerful visual images. It is a dark fairy tale, with mystery and romance. I really enj I had no idea what to expect when I started reading this story. The description drew me in, and made me want to know what the 'dark, twisted' truth was. I knew I wouldn't be getting a Disney fairy-tale, and that it would probably be more along the lines of the darker tales by Grimm, and I wasn't disappointed. It is a dark fairy tale, with mystery and romance. I really enjoyed seeing the relationship forming between Voroza and Juri, and the forbidden love angle. The underlying mystery of the story, and the connection between Voroza and her Babushka, made for compelling reading, and made me wonder where the story was going because this story is nothing like Little Red Riding Hood. I did not expect what happened toward the end, so I was pleasantly surprised (and a little shocked) by this new twist on an old tale. I won't say more than that otherwise I might give it away. I also loved the ending. It was perfect. This book was a quick read and very interesting. I liked the development of the story and interaction between the characters. I also liked the use of foreign words, it made the story sound a bit remote and it helped the development of the culture and world building. One of the best point was that Vöröža is a misfit. In a way that's a bit cliché because a lot of heroines are misfits, but in this book it's done in a way that actually explain what is wrong with her and why people mistrust her, and ar This book was a quick read and very interesting. One of the best point was that Vöröža is a misfit. In a way that's a bit cliché because a lot of heroines are misfits, but in this book it's done in a way that actually explain what is wrong with her and why people mistrust her, and aren't friends with her. It makes it different than the rest of the books where the heroine is a misfit because poor her nobody understands her. Still there is two things that made me cringe. First, that's the child always growing in the dark. I don't know why it's so common for the parents (or grand-parents) to keep the child heritage or identity a secret. I know it makes it a lot easier to have everything go wrong but for exactly the same reason why would anyone hide the truth. Second, the lack of emotion in Vöröža at one particular moment which I won't disclose because spoiler. Everything after that goes so fast. I know it's a trigger but she should have cried and asked herself a lot more question. Anyway, I was happy with the ending. I wish for another book to continue the story because I would love to see what Vöröža does next. I always enjoy a different take on a fairy tale. 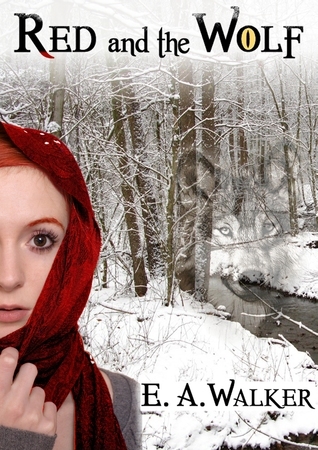 The story of Red and the Wolf has been done many times, but this tale has an interesting twist. Red's Babushka is uppity, secretive and controlling. She and her granddaughter live in a cottage in the woods away from the village. Now that her granddaughter has turned sixteen, Babushka keeps her on a tight leash. Her weak explanations are unable to deter her granddaughter's pursuit of Juri, the woodcutter. In the end, her granddaughter's disobedienc I always enjoy a different take on a fairy tale. The story of Red and the Wolf has been done many times, but this tale has an interesting twist. Red's Babushka is uppity, secretive and controlling. She and her granddaughter live in a cottage in the woods away from the village. Now that her granddaughter has turned sixteen, Babushka keeps her on a tight leash. Her weak explanations are unable to deter her granddaughter's pursuit of Juri, the woodcutter. In the end, her granddaughter's disobedience results in disaster. There were places where the story seemed to jump around from one setting or character to another, which made it a little hard to follow at first. Once I caught on to the author's writing style, it became easier to follow. I really enjoyed the story, but there were a lot of questions about Red and her Babushka that were left unanswered. It left me wanting to know more. I liked the book as this let enjoy with my time I pent on it. I wish the content would be more but though it was like short story, I appreciate the work of writer. Voroza and Juri were amazing in their aspect of love relationship. The turning of Grandmother into Wolf expected but killed within the same span without any fight was bit dull. The story must go on after Voroza's transformation but the mysterious end was good. Walker has done great job. I loved it. *I got this book a I liked the book as this let enjoy with my time I pent on it. I wish the content would be more but though it was like short story, I appreciate the work of writer. Voroza and Juri were amazing in their aspect of love relationship. The turning of Grandmother into Wolf expected but killed within the same span without any fight was bit dull. Note: I received a copy of this story in exchange for an unbiased review. I love a good fairy tale retelling, and I thought this one was a nice addition to the genre. I really enjoyed the visions the author painted with her descriptions, and I liked that the deeper, darker historical tones of this (kind of twisted, when you think about it) bedtime story were enriched and enhanced. And, well, her grandmother has been updated to kind of a badass. The lovely language alone is worth a few pages of yo Note: I received a copy of this story in exchange for an unbiased review. I have a love of Fairy Tales so I was really excited to have the opportunity to read this novella. Unfortunately, I wasn't a huge fan of it. I tend to like stories where I am connected to the character. I really didn't feel connected to any of the characters nor did the story hold my attention. The writing was good, but the twist in the story was extremely predictable and was a little disappointing. Ultimately, I'm giving this 2 stars. The writing was good but the story missed the mark for me. It's little to short. Fairytale go dark. I like writing and beautiful description in the beginning. You can see there is talented writer. Maybe too much rush to finish story so I didn't connect with characters. They seem little flat. I like world and idea and especially originality. It's good but I think it can be much better. I will read the other books off this author if there is any. I took a B.A. in journalism from UCL and then worked from 1999 - 2008 in Sydney, Cape Town and back in London. Since then I have been working part-time and developing my writing skills - I hope. As a young reader I was inspired by the stories of great writers such as Andre Norton, Anne McCaffrey, Ursula K. LeGuin, C.J. Cherryh and J.K. Rowling. I wanted to create worlds like theirs, and characters a I took a B.A. in journalism from UCL and then worked from 1999 - 2008 in Sydney, Cape Town and back in London. As a young reader I was inspired by the stories of great writers such as Andre Norton, Anne McCaffrey, Ursula K. LeGuin, C.J. Cherryh and J.K. Rowling. I wanted to create worlds like theirs, and characters as loveable and engaging as theirs. So I started writing stories in notebooks. Sharing these with friends showed me, painfully, that I had a lot to learn - but I just had to keep trying. I love Fantasy, and that is what I mostly write. But I also read, and write, Young Adult books, and most of my stories have at least a little romance in them. I go all gooey over a good love story, so I'm inclined to think that other readers feel the same.